The Ko-Hyoteki (Target A) Ko Gata (Type A ) midget submarine was equipped with an electric motor driven by 224 two-volt batteries. 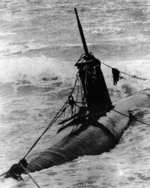 The Type A class could reach 19 knots submerged. They carried two bow 17.7-inch torpedoes. Fifty boats (HA-3 thru HA-52) were completed before the end of the war and were used against Allied warships and shipping in the 7 December 1941 Pearl Harbor attack and May 1942 raids on Sydney, Australia and Diego Suarez, Madagascar. Midgets were also used in attacks off Guadalcanal in 1942-43 and as defensive units in the Aleutians and elsewhere in the Pacific. After Pearl Harbor, modifications were made to the Type A designed and this variant was designated Type A Kai 1 (improved version 1). The modifications included the fitting of an improved gyro compass, serrated net-cutters on the bow and conning tower, a sled-like bow guard for maneuvering over obstacles and a propeller guard to prevent entanglement in nets or cables. 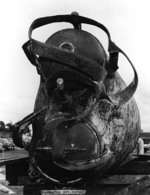 The Sydney, Diego Suarez and Guadalcanal midget submarines were of this type. The Otsu Gata (Type B) midget submarine was the first version fitted with a diesel (40 hp / 25 kw) and a slightly longer hull to accommodate it. All specifications were same as the Type A, except the length (24.9 m vs. 23.9 m), displacement (47 tons vs. 46), and surface speed (6 knots vs. 19). 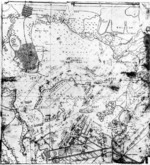 The Type B's diesl engine allowed a range of 500 nautical miles (nms) at 6 knots (surfaced), 15.8 nms at 9 knots and 84 nms at 6 knots underwater on the electric motor. Armament 2x 17.7-inch (457mm) TT fwd + (2 torpedoes).